Explore Camellia sinensis (aka “Tea”) as an herbal ally for increasing optimal wellness. Each type of tea – white, green, oolong, black, an hei cha or dark tea – will be explored through tasting, while discussing their unique chemical constituents and energetics in the body. We will also cover brewing instructions, specific remedies, seasonal affinities, recipes, and herbal combinations. Tickets are $15, for wonderful instruction, stories, and a bottomless cup of tea. 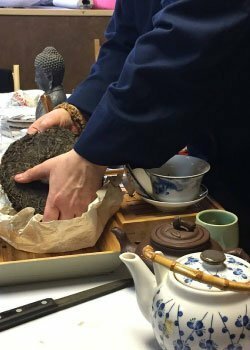 Guided by Sumitra Daragon, of Panther Moon Tea Co. and the Tea Friendship Caravan, and HERBalachia herb school faculty member. 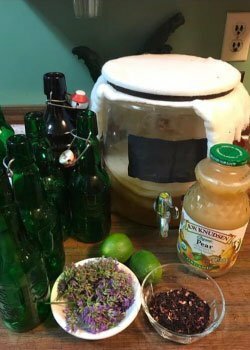 Join local herbalists, Lesley Setchim and Camille Cody in a beneficial hands-on make and take workshop introducing you to two popular and easy to make at home drinks, Kombucha and Fire Cider. Learn how they promote healthy digestion, boost immunity and metabolism, and warm your inner fire. They will share their understanding of the history and culture of these ancient drinks, the nutritional values, uses, methods, and different varieties that you can choose to create. ** Please bring two additional quart mason jars with lids, a journal, and writing tool. Cost is $30, the class is full at 15 participants.